iPotsoyi, taking place at the Ostrich Ranch in Cape Town on 11 September 2016, is an established urban outdoor music festival that blends Hip-Hop, House and Afro House bringing Flavour to this picnic styled event. iPotsoyi means “party”, an opportunity to enjoy new experiences with new friends that bring flavour to life. As the headline sponsor of Ipotsoyi, Smirnoff, will be kicking off the spring season with a burst of that kind of flavour. 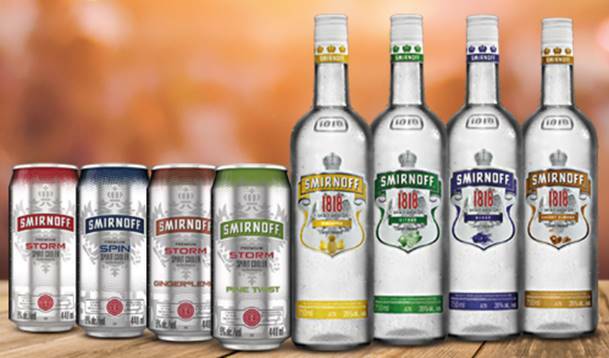 Smirnoff is bringing its wide range of flavours that cater to any daytime occasion straight to Ipotsoyi. These Smirnoff flavours, just like new experiences with new friends, will allow you to #FlavourTheMoment. Party-goers will be able to enjoy fan favourites such as Berry, Cherry Almond, Citrus and Pineapple within the 1818 portfolio; Ginger & Lemon, Pine Twist and Original within the Storm portfolio; and long-standing fan-favourite, Smirnoff Spin. Smirnoff is all about inclusivity and everyone’s invited to enjoy the Flavour at what has grown to be one of the biggest urban outdoor events in the country.